Its been said that, "The difference between something good and something great is attention to detail." It seems like there are an infinite amount of accessories for the AR-15 rifle in existence already, and a continuous quest to develop even more. Some of these are incredibly valuable (although maybe only for a specific application), while others are seemingly solely designed and produced to remove money from the pocket of the consumer. There are a few accessories or parts that, though they seem small or insignificant when compared to the entire weapon, can greatly contribute to ease of use, better accuracy, enjoyment and possibly even a few of these benefits combined. As the author of this blog, I have found it a little surprising that the post describing different AR-15 slings and their benefits or disadvantages has been one of the most popular in terms of pageviews. Apparently, the ability to carry the weapon in a manner that is appropriate for how the shooter plans to use their weapon is a very important consideration. That post included information about slings, but a particular sling may not be beneficial without the proper attachment parts to make its use optimal. 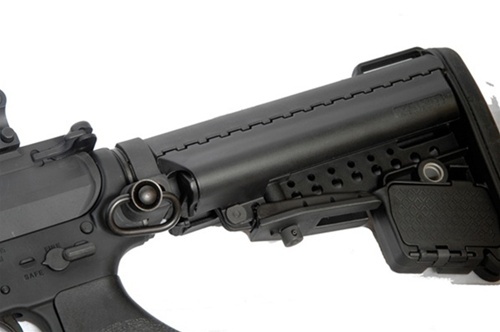 The typical AR-15 front sight base sling swivel and the swivel on the stock are fine for "over the shoulder" carry with a two point sling, but cause the weapon to awkwardly "roll" away from the shooter when using a two point sling and having the weapon muzzle down across the front of the torso. Front and rear side sling adapters would be necessary to use the sling in this manner. Del-Ton offers a number of sling attachment parts for single, two, and three point sling designs that can help you carry your weapon comfortably and be ready to present it quickly from a "ready" position. Pictured here is the Troy Pro Grade Sling Adapter. For single point use, the quick-release, push-button sling swivel is a great feature. This can be used with single or two point slings and requires no gunsmithing for installation-the castle nut or receiver endplate and buffer tube do not have to be removed, as this simply attaches to the exterior. 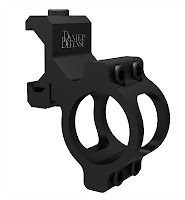 DTI also offers front side sling adapters that mount on the front sight base or a handguard rail for two and three point slings. If precision target shooting or varmint hunting is your favorite way to use your AR-15, having a quality bipod can assist you in a successful match or hunt. 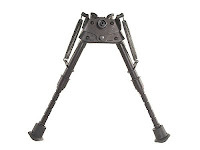 Harris bipods in both swivel and non swivel models are available at www.del-ton.com. The BR series is designed specifically for benchrest shooting applications. These bipods mount to any standard sling swivel stud (like those found on some free float tubes), but DTI also offers mounts for picatinny rails. If you plan on using your rifle for home defense, there is not a more practical accessory to mount on the weapon than a light. Whether you have iron or optical sights, a target needs to be illuminated in some manner and a quality light mount and light are important. 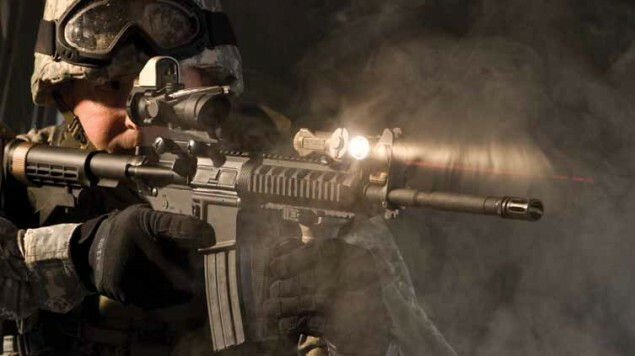 DTI offers Insight lights (made by L3, the same company that produces EoTech HWS) and rail light mounts from a number of popular AR-15 manufacturers such as Daniel Defense, Magpul, and Knights Armament. The Insight HX200 light features an easy programmable tailcap switch, a 300 hour run-time on its low setting, and 200 lumens! The light mounts we offer can be mounted on rail sections-the ideal placement for activation of the light by your support hand and according to your preferred shooting style. The Daniel Defense mount is a bit "offset" so that it does not get in the way of other mounted devices yet still provides a good position to control the functions of the light. Little things can be VERY important. Of course, the best "accessories" for your AR-15 depend entirely on the application (s) in which you use the weapon most often. Having a ton of peripheral tools on your weapon that do not provide a consistent advantage to your application will only give you the benefit of upper body strength! Keep it simple and remember that modularity is the greatest advantage of this weapon platform. You do not have to have every accessory ever produced for this weapon attached all the time. Thanks for reading our blog. If you have any questions about the AR-15 accessories or rifles we offer and produce at DTI, please feel free to contact us.